This sponsored blog post for the Enterprise CIO Forum briefly examines the cloud-empowered evolution of IT and provides recommendations for lowering the transitional costs and complexities of the cloud becoming the new IT delivery model. This sponsored blog post for the Enterprise CIO Forum provides an overview of three approaches to managing and securing the mobile devices that not only enable the enterprise to be more productive, but also expose the enterprise to more risks. This sponsored blog post for the Enterprise CIO Forum discusses the business need for IT to deliver a converged infrastructure that builds a shared-services model bringing all server, storage, and networking resources together on a common platform. This sponsored blog post for the Enterprise CIO Forum explains the inconvenient truth about cloud security is that we often choose, by default or with intention, convenience over security, especially with public-cloud-based services for mobile devices. This blog post is sponsored by the Enterprise CIO Forum and HP. Since just before Christmas I posted An Enterprise Carol, I decided just before New Year’s to post An Enterprise Resolution. In her article The Irrational Allure of the Next Big Thing, Karla Starr examined why people value potential over achievement in books, sports, and politics. However, her findings apply equally well to technology and the enterprise’s relationship with IT. So, in 2013, as the big data hype cycle comes down from the peak of inflated expectations, as the painful tradeoffs between the benefits and costs of cloud computing are faced, and as IT consumerization continues to reshape the identity of the IT function, let’s make an enterprise resolution to deal with these realities before we go off chasing the next best thing. Happy New Year! Why does the sun never set on legacy applications? Are Applications the La Brea Tar Pits for Data? More Tethered by the Untethered Enterprise? Can the Enterprise really be Secured? Since ‘tis the season for reflecting on the past year and predicting the year ahead, while pondering this post my mind wandered to the reflections and predictions provided by the ghosts of A Christmas Carol by Charles Dickens. So, I decided to let the spirit of Jacob Marley revisit my previous Enterprise CIO Forum posts to bring you the Ghosts of Enterprise Past, Present, and Future. Legacy applications have a way of haunting the enterprise long after they should have been sunset. The reason that most of them do not go gentle into that good night, but instead rage against the dying of their light, is some users continue using some of the functionality they provide, as well as the data trapped in those applications, to support the enterprise’s daily business activities. This freaky feature fracture (i.e., technology supporting business needs being splintered across new and legacy applications) leaves many IT departments overburdened with maintaining a lot of technology and data that’s not being used all that much. The Ghost of Enterprise Past warns us that IT can’t enable the enterprise’s future if it’s stuck still supporting its past. While IT was busy battling the Ghost of Enterprise Past, a familiar, but fainter, specter suddenly became empowered by the diffusion of the consumerization of IT. The rapid ascent of the cloud and mobility, spirited by service-oriented solutions that were more focused on the user experience, promised to quickly deliver only the functionality required right now to support the speed and agility requirements driving the enterprise’s business needs in the present moment. Gifted by this New Prometheus, Shadow IT emerged from the shadows as the Ghost of Enterprise Present, with business-driven and decentralized IT solutions becoming more commonplace, as well as begrudgingly accepted by IT leaders. All of which creates quite the IT Conundrum, forming yet another front in the war against Business-IT collaboration. Although, in the short-term, the consumerization of IT usually better services the technology needs of the enterprise, in the long-term, if it’s not integrated into a cohesive strategy, it creates a complex web of IT that entangles the enterprise much more than it enables it. And with the enterprise becoming much more of a conceptual, rather than a physical, entity due to the cloud and mobile devices enabling us to take the enterprise with us wherever we go, the evolution of enterprise security is now facing far more daunting challenges than the external security threats we focused on in the past. This more open business environment is here to stay, and it requires a modern data security model, despite the fact that such a model could become the weakest link in enterprise security. The Ghost of Enterprise Present asks many questions, but none more frightening than: Can the enterprise really be secured? Of course, the T in IT wasn’t the only apparition previously invisible outside of the IT department to recently break through the veil in a big way. The I in IT had its own coming-out party this year also since, as many predicted, 2012 was the year of Big Data. Although neither the I nor the T is magic, instead of sugar plums, Data Psychics and Magic Elephants appear to be dancing in everyone’s heads this holiday season. In other words, the predictive power of big data and the technological wizardry of Hadoop (as well as other NoSQL techniques) seem to be on the wish list of every enterprise for the foreseeable future. However, despite its unquestionable potential, as its hype starts to settle down, the sobering realities of big data analytics will begin to sink in. Data’s value comes from data’s usefulness. If all we do is hoard data, then we’ll become so lost in the details that we’ll be unable to connect enough of the dots to discover meaningful patterns and convert big data into useful information that enables the enterprise to take action, make better decisions, or otherwise support its business activities. Big data will force us to revisit information overload as we are occasionally confronted with the limitations of historical analysis, and blindsided by how our biases and preconceptions could silence the signal and amplify the noise, which will also force us to realize that data quality still matters in big data and that bigger data needs better data management. As the Ghost of Enterprise Future, big data may haunt us with more questions than the many answers it will no doubt provide. I realize that this post lacks the happy ending of A Christmas Carol. To paraphrase Dickens, I endeavored in this ghostly little post to raise the ghosts of a few ideas, not to put my readers out of humor with themselves, with each other, or with the season, but simply to give them thoughts to consider about how to keep the Enterprise well in the new year. Happy Holidays Everyone! “Those who cannot remember the past are condemned to repeat it,” wrote George Santayana in the early 20th century to caution us about not learning the lessons of history. But with the arrival of the era of big data and dawn of the data scientist in the early 21st century, it seems like we no longer have to worry about this problem since not only is big data allowing us to digitize history, data science is also building us sophisticated statistical models from which we can analyze history in order to predict the future. However, “every model is based on historical assumptions and perceptual biases,” Daniel Rasmus blogged. “Regardless of the sophistication of the science, we often create models that help us see what we want to see, using data selected as a good indicator of such a perception.” Although perceptual bias is a form of the data silence I previously blogged about, even absent such a bias, there are limitations to what we can predict about the future based on our analysis of the past. Although big data and data science can certainly help enterprises learn from the past in order to predict some probable futures, the future does not always resemble the past. So, remember the past, but also remember the limitations of historical analysis. In the era of big data, information optimization is becoming a major topic of discussion. But when some people discuss the big potential of big data analytics under the umbrella term of data science, they make it sound like since we have access to all the data we would ever need, all we have to do is ask the Data Psychic the right question and then listen intently to the answer. However, in his recent blog post Silence Isn’t Always Golden, Bradley S. Fordham, PhD explained that “listening to what the data does not say is often as important as listening to what it does. There can be various types of silences in data that we must get past to take the right actions.” Fordham described these data silences as various potential gaps in our analysis. This data silence reminded me of my podcast discussion with Thomas C. Redman, PhD about big data and data quality, during which we discussed how some people erroneously assume that data quality issues can be ignored in larger data sets. This data silence reminded me of WYSIATI, which is an acronym coined by Daniel Kahneman to describe how the data you are looking at can greatly influence you to jump to the comforting, but false, conclusion that “what you see is all there is,” thereby preventing you from expanding your field of view to notice what data might be missing from your analysis. Therefore, in order for your enterprise to leverage big data analytics for business success, you not only need to adopt a mindset that embraces the principles of data science, you also need to make sure that your ears are set to listen for data silence. This podcast episode is sponsored by the Enterprise CIO Forum and HP. During this episode, Bill Laberis and I discuss the necessary evolution of enterprise security in the era of cloud computing and mobile devices. Our discussion includes public, private, and hybrid clouds, leveraging existing security best practices, defining BYOD (Bring Your Own Device) policies, mobile device management, and striking a balance between convenience and security. Bill Laberis is the Editorial Director of the Enterprise CIO Forum, in which capacity he oversees the content of both its US and international websites. He is also Editorial Director and Social Media Manager in the IDG Custom Solutions Group, working closely with clients to create highly individualized custom content programs that leverage the wide range of media capabilities, including print, online, multimedia, and custom events. Bill Laberis was editor-in-chief of Computerworld from 1986-1996, has been a frequent speaker and keynoter, and has written for various business publications including The Wall Street Journal. He has been closely following the IT sector for 30 years. Over the last two months, I have been blogging a lot about how enterprise security has become an even more important, and more complex, topic of discussion than it already was. The days of the perimeter fence model being sufficient are long gone, and social media is helping social engineering more effectively attack the weakest links in an otherwise sound security model. With the consumerization of IT allowing Shadow IT to emerge from the shadows and the cloud and mobile devices enabling the untethering of the enterprise from the physical boundaries that historically defined where the enterprise stopped and the outside world began, I have been more frequently pondering the question: Can the enterprise really be secured? The cloud presents the conundrum of relying on non-enterprise resources for some aspects of enterprise security. However, “one advantage of the cloud,” Judy Redman recently blogged, “is that it drives the organization to take a more comprehensive, and effective, approach to risk governance.” Redman’s post includes four recommended best practices for stronger cloud security. With the growing popularity of the mobile-app-portal-to-the-cloud business model, more enterprises are embracing mobile app development for deploying services to better support both their customers and their employees. 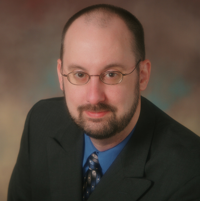 “Mobile apps,” John Jeremiah recently blogged, “are increasingly dependent on cloud services that the apps team didn’t build, the organization doesn’t own, and the ops team doesn’t even know about.” Jeremiah’s post includes four things to consider for stronger mobile security. Although it is essential for every enterprise to have a well-articulated security strategy, “it is important to understand that strategy is not policy,” John Burke recently blogged. “Security strategy links corporate strategy overall to specific security policies; policies implement strategy.” Burke’s post includes five concrete steps to take to build a security strategy and implement security policies. With the very notion of an enterprise increasingly becoming more of a conceptual entity than a physical entity, enterprise security is becoming a bit of a misnomer. However, the underlying concepts of enterprise security still need to be put into practice, and even more so now that, since the enterprise has no physical boundaries, the enterprise is everywhere, which means that everyone (employees, partners, suppliers, service providers, customers) will have to work together for “the enterprise” to really be secured. Are Cloud Providers the Bounty Hunters of IT? In my previous post, I blogged about how although any proactive security strategy can only be as strong as its weakest link, the weakest link in your enterprise security could actually be the protocols enacted in the event of an apparent security breach. As I have previously blogged, traditional approaches focus mainly on external security threats, which nowadays is like fortifying your physical barriers while ignoring the cloud floating over them and the mobile devices walking around them. The more open business environment enabled by cloud and mobile technologies is here to stay, and it requires a modern data security model. “Proactively define your security strategy,” Verstraete concluded. “Decide what an acceptable risk level is. Choose and implement tools and procedures accordingly, and train, train, train your employees.” I definitely agree that employee training is essential to strengthening your enterprise security, and especially training your employees to understand the principles of social engineering. As a recent Techopedia article noted, one of the biggest challenges for IT security these days is finding a balance among three overarching principles: availability (i.e., that information is accessible when authorized users need it), confidentiality (i.e., that information is only being seen or used by people who are authorized to access it), and integrity (i.e., that any changes to information by an unauthorized user are impossible — or at least detected — and changes by authorized users are tracked). Finding this balance has always been a complex challenge for enterprise security since the tighter you lock an IT system down, the harder it can become to use for daily business activities, which sometimes causes usability to be prioritized over security. According to Los, IT leaders need to balance the business enablement of IT with the need to keep information secure, which requires better understanding both business risks and IT threats, and allowing the organization to execute its business goals in a tactical fashion while simultaneously working out the long-term enterprise security strategy. The biggest lesson learned was not the lack of a good security strategy (though that obviously played a part, not only with Honan personally, but also with the vendors involved). Instead, the lesson was that the weakest link in any security strategy might be its recovery procedures — and that hackers don’t need to rely on Hollywood-style techno-wizardry to overcome security protocols. Organizations are rightfully concerned about mobile devices containing sensitive data getting stolen — in fact, many make use of the feature provided by Apple that enables you to remotely delete data on your iPhone, iPad, and MacBook in the event of theft. In Honan’s case, the hackers exploited this feature by accessing his Apple iCloud account (for the details of how that happened, read his blog post), wiping clean his not-stolen mobile devices, resetting his passwords, including for his email accounts, which prevented him from receiving any security warnings and password reset notifications, and bought the hackers the time needed to redirect everything — essentially all by doing what Honan would have done if his mobile devices had actually been stolen. Although most security strategies are focused on preventing a security breach from happening, as the Honan story exemplifies, the weakest link in your enterprise security could actually be the protocols enacted in the event of an apparent security breach. Enterprise security is becoming an even more important, and more complex, topic of discussion than it already was. 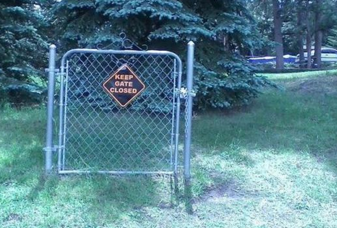 Especially when an organization focuses mostly on preventing external security threats, which is somewhat like, as in the photo to the left, telling employees to keep the gate closed but ignore the cloud floating over the gate and the mobile devices walking around it. But that doesn’t mean we need to build bigger and better gates. The more open business environment enabled by cloud and mobile technologies is here to stay, and it requires a modern data security model that can protect us from the bad without being overprotective to the point of inhibiting the good. In the science fiction universe of Star Trek, the security officers aboard the starship Enterprise, who wore red shirts, often quickly died on away missions. Protecting your data, especially when it goes on away missions in the cloud or on mobile devices, requires your enterprise security to be on red alert — otherwise everyone in your organization might as well be wearing a red shirt. While checking out the new Knowledge Vaults on the Enterprise CIO Forum, I came across the Genefa Murphy blog post How IT Debt is Crippling the Enterprise, which included three recommendations for alleviating some of that crippling IT debt. The first recommendation was application retirement. As I have previously blogged, applications become retirement-resistant because applications and data have historically been so tightly coupled, making most of what are referred to as data silos actually application silos. Therefore, in order to help de-cripple IT debt, organizations need to de-couple applications and data, not only by allowing more data to float up into the cloud, but also, as Murphy noted, instituting better procedures for data archival, which helps more easily identify applications for retirement that have become merely containers for unused data. The second recommendation was cutting the IT backlog. “One of the main reasons for IT debt,” Murphy explained, “is the fact that the enterprise is always trying to keep up with the latest and greatest trends, technologies and changes.” I have previously blogged about this as The Diderot Effect of New Technology. By better identifying how up-to-date the IT backlog is, and how well — if at all — it still reflects current business needs, an organization can skip needless upgrades and enhancement requests, and not only eliminate some of the IT debt, but also better prioritize efforts so that IT functions as a business enabler. Although it’s impossible to completely balance the IT budget, and IT debt doesn’t cause an overall budget deficit, reducing costs associated with business-enabling technology does increase the potential for a surplus of financial success for the enterprise. Since more organizations are embracing cloud computing and cloud-based services, and some analysts are even predicting that personal clouds will soon replace personal computers, the cloudy future of our data has been weighing on my mind. I recently discovered the website DataGravity.org, which contains many interesting illustrations and formulas about data gravity, a concept which Dave McCrory blogged about in his December 2010 post Data Gravity in the Clouds. In my blog post What is Weighing Down your Data?, I explained the often misunderstood difference between mass, which is an intrinsic property of matter based on atomic composition, and weight, which is a gravitational force acting on matter. By using these concepts metaphorically, we could say that mass is an intrinsic property of data, representing objective data quality, and weight is a gravitational force acting on data, representing subjective data quality. I used a related analogy in my blog post Quality is the Higgs Field of Data. By using data, we give data its quality, i.e., its mass. We give data mass so that it can become the basic building blocks of what matters to us. Historically, most of what we referred to as data silos were actually application silos because data and applications became tightly coupled due to the strong gravitational force that legacy applications exerted, preventing most data from achieving the escape velocity needed to free itself from an application. But the laudable goal of storing your data in one easily accessible place, and then building services and applications around your data, is one of the fundamental value propositions of cloud computing. The cloud is shifting our center of gravity because of the data gravitational field emitted by the massive amount of data being stored in the cloud. The information technology universe, business world, and our personal (often egocentric) solar systems are just beginning to feel the effects of this massive gravitational shift. What is Weighing Down your Data?